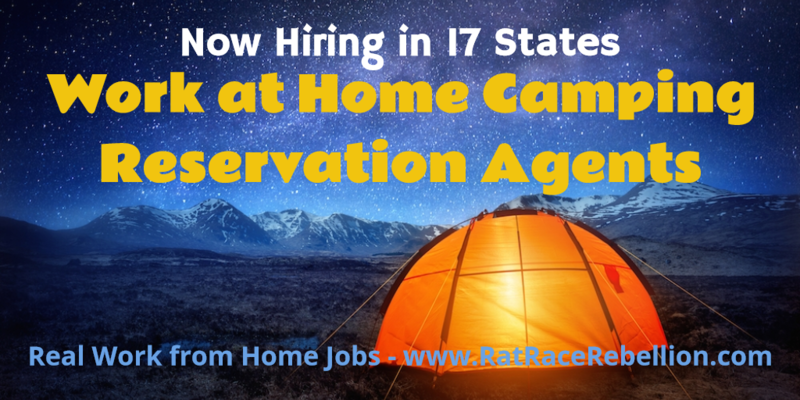 Summer is just around the corner and Active Network is doing their annual seasonal hiring of Work at Home Camping Reservation Agents! Positions generally run through early September and involve assisting customers with reservation requests and questions and other duties. All training is done virtually! You will need a standard phone line (not cell phone, digital/cable, satellite or VoIP), high-speed internet, and desktop (not laptop or tablet) computer and monitor to be considered for these positions. SERIOUS ABOUT FINDING A WORK FROM HOME JOB? This entry was posted in Hiring Companies, Seasonal Jobs, Work at Home Jobs. Bookmark the permalink.